Joseph Gordon-Levitt went on to take roles in hits such as “The Dark Knight Rises,” “Premium Rush,” “Looper,” and “Lincoln,” but his passion also lies with hitRECord, his online collaborative production company that inspires users across the world to come together and create singular works of art. Gordon-Levitt launched his unique artistic experiment as a website back in 2005, inviting artists of all types and talents to contribute to creative projects. Soon, the site grew into a real production company that yielded short films, music videos, and books that have since become elements of the hitRECord live shows, which Gordon-Levitt has brought to such high-profile venues as the Sundance Film Festival. In 2011, Gordon-Levitt released a compilation of those online collaborations in the form of “The Tiny Book of Tiny Stories: Volume 1.” To create this book, Joseph Gordon-Levitt, known within the hitRECord community as RegularJOE, directed thousands of collaborators to tell tiny stories through words and art. With the help of the entire creative collective, Gordon-Levitt culled, edited and curated over 8,500 contributions into this finely tuned collection of original art from 67 contributors. Reminiscent of the “6-Word Memoir” series, “The Tiny Book of Tiny Stories: Volume 1″ brings together art and voices from around the world to unite and tell stories that defy size. The first volume was so popular that Gordon-Levitt he came back with “The Tiny Book of Tiny Stories: Volume 2,” which offers more quirky, delightfully small, ingeniously illustrated haiku-like tales, proving once more that the universe isn’t made of atoms; it’s made of tiny stories. He’s currently working on “Volume 3.” The best things do come in small packages. Do you want to hire Joseph Gordon-Levitt? Directly request a quote. In 48 hours we can send you the availability of Joseph Gordon-Levitt If you would like to book Joseph Gordon-Levitt, Entertainment Booking Agency is the right place. 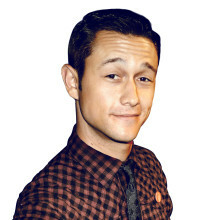 We will offer you the best price and contact the management or we directly contact Joseph Gordon-Levitt. For corporate appearances or speaking engagements you can contact our agents and the will help you true the process. Tags: hire Joseph Gordon-Levitt, Joseph Gordon-Levitt booking, book Joseph Gordon-Levitt, Joseph Gordon-Levitt appearances, find more information on booking Joseph Gordon-Levitt for appearances, Joseph Gordon-Levitt speaking engagements, Joseph Gordon-Levitt endorsements/spokesperson, Joseph Gordon-Levitt appearance fees, Joseph Gordon-Levitt booking agency contact info, biography of Joseph Gordon-Levitt, Contact an artist booking talent agent find a speakers bureau that can book Joseph Gordon-Levitt, speaker booking agency for Joseph Gordon-Levitt, Joseph Gordon-Levitt booking agency, Joseph Gordon-Levitt booking for corporate event. EBA is one of the biggest entertainment booking agencies in the World. We book hundreds of celebrities, artist, athletes and speakers in a year. Important to know is that we are not claiming to be the management of Joseph Gordon-Levitt. We are not the official agent for Joseph Gordon-Levitt. Companies from around the globe book these artists and speakers true our company be course we have one of the biggest networks and we always have direct contact with the artist or the management. We help you to find the right celebrities for your corporate of private events. Please contact one of our agents to get free advice and we will help to get the world-famous artist on your party.